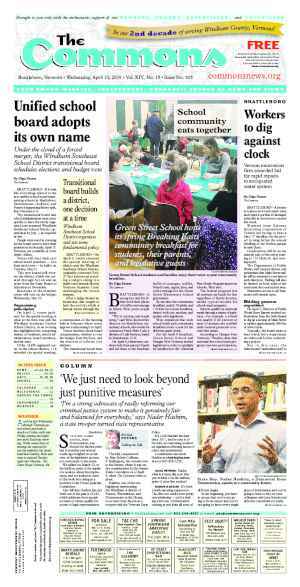 BRATTLEBORO—With six people running for three seats on the Selectboard and with two incumbents stepping aside, the Annual Town Election on Tuesday, March 5 is shaping up to offer a choice between activist energy and governing experience. With Chair Kate O’Connor choosing not to run for her three-year seat after six years on the board, incumbent Tim Wessel, twice elected to one-year terms, is now running for the vacated three-year slot. He is being challenged by longtime community member Ben Coplan. With Shanta Lee Gander, who won her first one-year term on the board last year, also not seeking re-election, both one-year seats are open. Four candidates are running for the two positions. Two candidates — Planning Commission Chair Elizabeth McLoughlin and Representative Town Meeting Finance Committee Chairman Franz Reichsman — have years of experience in town government, while political newcomers Daniel Quipp and Oscar Heller represent a new generation of leadership. 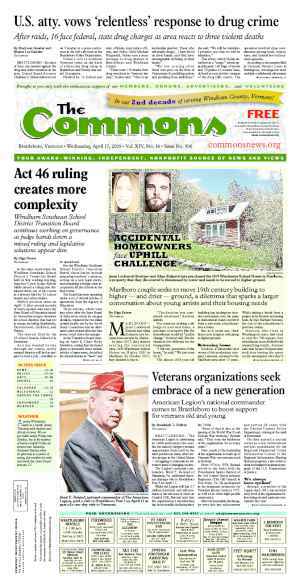 • Ben Coplan, who has lived in town for 45 years, is a co-founder of Brattleboro Area Affordable Housing and has served on the staff of the former Morningside Shelter. He also serves on the Agricultural Advisory Committee and is a Representative Town Meeting member from District 2. He formerly served on the Citizen Police Communications Committee and is a current volunteer with the Brattleboro Community Justice Center. Coplan came to Brattleboro from California to work for the Holstein Association U.S.A., a job he held for 17 years. He also worked about 13 years at the Vermont Division of Vocational Rehabilitation. Two of those ways are his support for the 1-percent local- option sales tax and a pilot program that would allow the town to adopt other revenue-raising strategies — like a pilot program that would extend the ways in which municipalities can legally raise money — that are currently unavailable. Coplan said he believes giving more decision-making power to communities is a good idea. Coplan also believes more should be done to attract young families to Vermont, which would strengthen the local economy. • Tim Wessel: Describing himself a fiscal conservative who balances that philosophy with his advocacy for creative thinking to move the town forward, Wessel said he is seeking a three-year seat because he likes the current board and believes he and his colleagues who are not up for re-election and remain seated on the board — Brandie Starr and David Schoales — work well together. Like Coplan, he supports the local-option sales tax and the limited local-self-governance pilot program. Wessel has been a strong proponent of the 1-percent sales tax to lessen the tax burden on property owners. Wessel, who owns Vermont Films, a video production company, is also a landlord in Brattleboro. He said he knows firsthand about the tight rental market and the intense competition for reasonably priced apartments in town. As for getting more young people to live in Brattleboro, Wessel said he believes that until the issues of affordability and income stratification are addressed, it will be tough to attract new residents and hard to keep current residents from moving away. • Oscar Heller: As the youngest of the six Selectboard candidates, Heller is a model of the type of person whom Vermont business and political leaders are trying desperately to lure to the Green Mountain State. Heller, 30, co-owns 10F Design, a graphic design and website development company. He believes the town’s biggest challenge is “navigating the balance” between a gentrified Brattleboro that caters to tourists while the working class struggles to get by. He sees economic development, particularly in the technology sector, to broaden the property-tax base as one remedy. “I think the era of the 500-job factory in Vermont, in Brattleboro, is probably over for good,” he said at the Feb. 13 forum. While Heller, who serves on the town Energy Committee, points out that 85 percent of municipal revenues come from property taxes, he still hasn’t decided whether the local- option tax would help the town. • Elizabeth McLoughlin chairs the town Planning Commission and has been a Representative Town Meeting member for several years. The bulk of her professional experience is in municipal environmental planning, an area that touches upon many of the issues — sustainability and climate change, for example — that concern the town. “I think Brattleboro is a caring community, and I want to be a part of the continued care as part of the Selectboard,” she said at the Feb. 13 forum. She is also undecided about the local-option sales tax, saying she hasn’t seen enough data to show it would provide property-tax relief without hurting downtown merchants. At the same time, she said, the state offers few other options to towns for seeking additional revenues. • Daniel Quipp serves as chair of the town Energy Committee and has been a climate-change activist with 350Vermont. But as someone who grew up in a single-parent, low-income household, he said he would see his role on the Selectboard as being a voice for the vulnerable and underrepresented. “For me, it’s really important that there’s someone on the board who has an experience of poverty and a desire to see people’s lives in this town improve,” he said at the Feb. 13 forum. But energy issues are still important to Quipp. “We can do more as a state and region to encourage energy efficiency,” he said, suggesting the town also do more to go carbon-free in its energy usage. He says he supports the local-option sales tax as a way to raise revenue without raising property taxes and believes that downtown has enough fans that a penny on the dollar tax will have little effect on commerce. Quipp, a native of the United Kingdom, became a U.S. citizen two years ago and became a Representative Town Meeting member last year. He works for Southeastern Vermont Community Action (SEVCA) in its Crisis Fuel and Utility Assistance program. 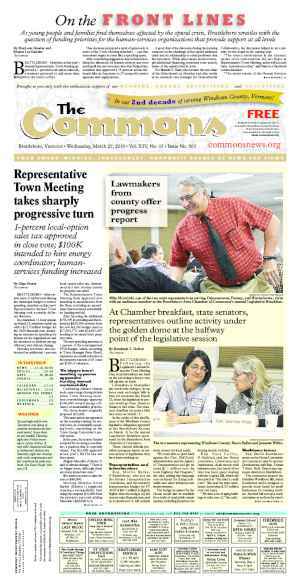 • Franz Reichsman, an emergency room doctor for 30 years, serves as a Representative Town Meeting member who chairs that body’s finance committee. 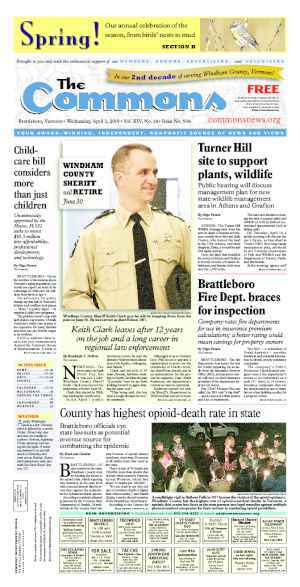 He has been active in Democratic Party politics in Windham County since the 1980s. He said that he wants to make sure that anything that the town undertakes is practical, pragmatic, and has a tangible result. At the same time, Reichsman is the only candidate who opposes the local-option tax, because he believes it could significantly hurt downtown merchants. He also is the only candidate pushing for something that many residents haven’t thought about in years: completing the Whetstone Pathway to West Brattleboro — that is, if there is money to pay for it. Originally published in The Commons issue #499 (Wednesday, February 27, 2019). This story appeared on page A3.